Ready to read something I've written? I currently have three perma-free e-books: Unlocked, The 11th Commandment, and My Lady Coward. All of my books are listed here with store links and list prices. Some stores may have sales in effect. Treachery in old London, a crop circle mystery, and a cyborg punished for gazing at the night sky open this collection of new stories that will intrigue teens and adults alike. Fantasy, sci-fi, mystery, and fanciful versions of school life—the motif they share is a key. Which key will unlock a mystery, free the trapped, comfort the rejected, or bring new resolve to a boy who has taken a wrong path? What treasures can we discover if we only find the right key? Unlocked features two of my stories, Assassin's Keeper (Regency fiction) and Survival (fantasy). They are only available in this anthology. Immerse yourself in the fictional world of clever writers rising up to meet the challenge, prompted with three simple words: New, Whisper, Spring. This anthology contains stories that flow across many genres: Fantasy, Romance, Mystery, and more; all intertwined with a basic theme that whispers sweetly of new beginnings. Clever Fiction is a free short story prompt site. Every week (or two) a new prompt is posted. Submitting is free, reading is free, but the learning is priceless! Everyone's welcome to join in. Visit www.cleverfiction.com for details. Whispered Beginnings includes my Regency short story Eliza's Epiphany. It is only available in this anthology. The 11th Commandment was a serial Regency romance written for publication in InD'Tale Magazine. With the editor's permission, all ten parts of the story have been compiled, available for those readers who'd like to have the whole story in one convenient place. Subscribers to InD'Tale Magazine can still read the whole story for free by accessing the magazine archive on InD'Tale's site (must be logged in to access it). Lady Katherine never learned the fine art of hiding one's indiscretions. Thus her one mistake became Society's biggest scandal. Can she overcome the shame and learn to love again? Death Becomes Her originally appeared in InD'tale Magazine, written and published in eleven parts. It has been compiled here, with minimal changes from how each part originally appeared in that publication. The compiled edition includes an exclusive bonus short story, The Devil She Knows. Click HERE to see all the stores that carry Gertrude's Grace. This is a short story of approximately 12,000 words. Click HERE to see all the stores that carry My Lady Coward. My Lady Coward will always be available for free online, if you don't mind some site hopping to read every part. Additionally, I have attempted to make it free in its compiled form, but Amazon doesn't always price match and sometimes they will briefly and then jump it back up. It should remain free on Smashwords, B&N, Kobo, and iTunes, however. *Approximate word count: 14,000 (novelette). **My Lady Coward is very loosely connected to my Regency “series." The hero of Heartless makes an appearance in one episode. This takes place before the rest of my Regency series. An excerpt of Heartless is included in the e-version. With Maria's vows came a title and security. At her wedding she gained a position amongst Society's elite. With her marriage Maria acquired everything a young woman could possibly desire. Going about her day-to-day activities, all Maria wants is Richard's love, the attentions he lavishes upon his mistress. But can she set aside her ladylike training long enough to tell him? Click HERE to see all the stores that carry Honor. Click HERE to see all the stores that carry Betrayal. England 1816. Bri has been running for years. Just when she thinks she may have escaped those pursuing her, she finds herself thrown into Newgate Prison...where Adam finds her. Hired by Bri's family, he is determined to return the heiress posthaste. When it becomes clear that her family does NOT have her best interests at heart, she must accept Adam's help, something her pride will not allow. Click HERE to see every store that carries Deception. England 1818. Determined to find love, Aurora Glendenning hides her wealth and status, wanting a man to love her for her...one who will overlook her mistakes. When she meets Levi, Lord Greville, she thinks her prayers have been answered. There's just one problem: he needs wealth to right his wrongs. Can love make everything all right in this tale with so many lies and unanswered questions? Click HERE to see all the stores that carry Intrigue. England 1819. 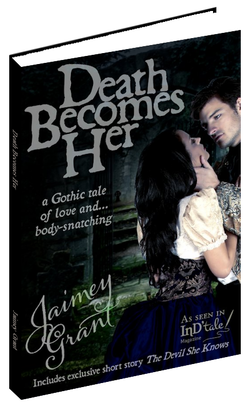 Treason and blackmail have become Lady Malvina's constant companions. When murder gets thrown into the mix she takes a desperate chance on a strange man in order to rescue herself and her son. ​Click HERE to see every e-store that carries Entangled. England 1820. Due to one too many mistakes on her part, Raven Emerson is forced to retire from the stage. Out of pure boredom, she agrees to pose as an eccentric duke's betrothed. Lord Windhaven hires her because he's tired of his family's interference. She's risking her life, he's risking his sanity, but they're both risking their hearts. Click HERE to see all the stores that carry Heartless. England 1820. The Duke of Derringer must marry within one week. Disgusted with his father for such a stupid codicil, he vows to marry the first woman he meets. That woman is Leandra Harcourt, illegitimate daughter of the late Earl of Harwood. Derringer marries her, refusing to admit he's helping her more than himself. Meanwhile, some disobliging soul wants him dead. Click HERE to see all the stores that carry Redemption. 1821. Lady Jenny is the pampered, beloved daughter of a duke. Becoming a little jaded after several Seasons, Jenny flirts shamelessly with the newest rogue to grace London, Dare Prestwich. The situation gets out of hand, Dare flees, and Jenny must face judgmental Society alone. The one left to pick up the pieces is Dare's twin, Miles, who is in love with Jenny's twin, Gwen. Oh, the scandal. Click HERE to see every store that carries Forgotten, and other Heartless tales. 1824. Forgotten, and other Heartless tales is a compilation of three novelettes based in Jaimey Grant's Regency world. Loyalty tells the tale of Lady Michaella's grim determination to move on with her life through an arranged marriage. Forgotten is Lord Gabriel's quest for the memories he lost long ago. Introductions dramatically concludes the trilogy in true “Lord Heartless" fashion.